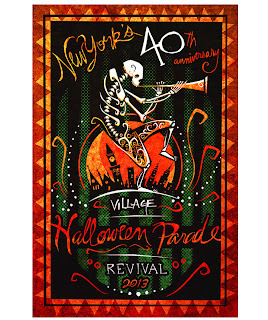 Idle Hands: Save the New York Village Halloween Parade! Those of us who live in weather devastated areas are now part of a unique club we hope the rest of you never have to join. In New Jersey, the boats alongside the highways, houses crumbling from the foundation up and constant calls for clothing and food donations spoke volumes about the level of chaos caused by Superstorm Sandy. One house spared and two doors down, a total loss...and yet we were all still very lucky. As the most fantastically spooky month of the year draws closer and the anniversary of that horrible day looms, we are looking to get things back on track in a big way...and that starts with reclaiming HALLOWEEN!! IT'S OUUUUUURS!!! 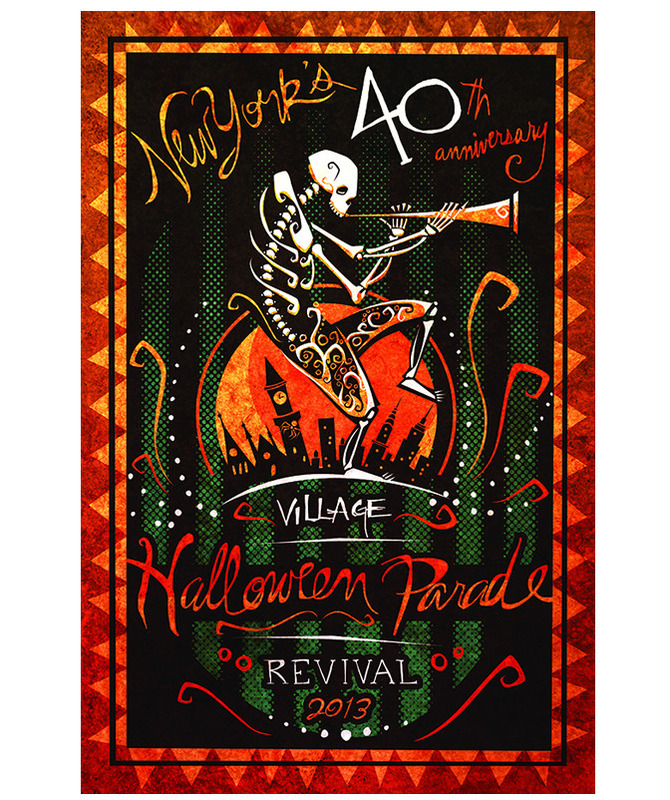 The Village Halloween Parade has launched its Kickstarter Campaign. Last year, the Halloween Parade was hit hard by Superstorm Sandy, causing its unprecedented cancellation. This year, the Parade is poised to celebrate its 40th Anniversary, but now the Parade's future is in jeopardy due to financial losses from last year. This year, we need to hear from you again. We need all of you who have ever come to watch the Parade or who danced in it, to contribute to our Kickstarter Campaign to bring back Halloween! We have never asked before, but this situation is unprecedented. Let's make this happen! The spirit of the parade has kept us going for forty years -- and your spirit will keep us going for another forty. Together, we can make the Parade rise again! Note: if you would like to donate by PayPal rather than Kickstarter (which does not take PayPal) you can do so HERE. Listen, I know we are all broke, so at the very least, please spread the word. Grab a link to this article or directly to the kickstarter and paste it up on all your social media outlets. Know someone with lots of eyes on their Twitter account? Ask them to do the same!! No one takes Halloween from New York City!! Let's take it back.